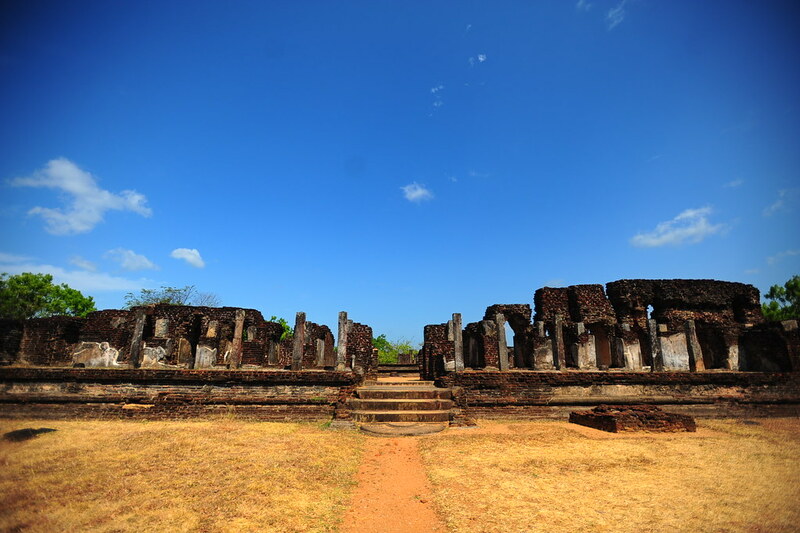 If this is your first time exploring ruins, Polonnaruwa is a great introduction. 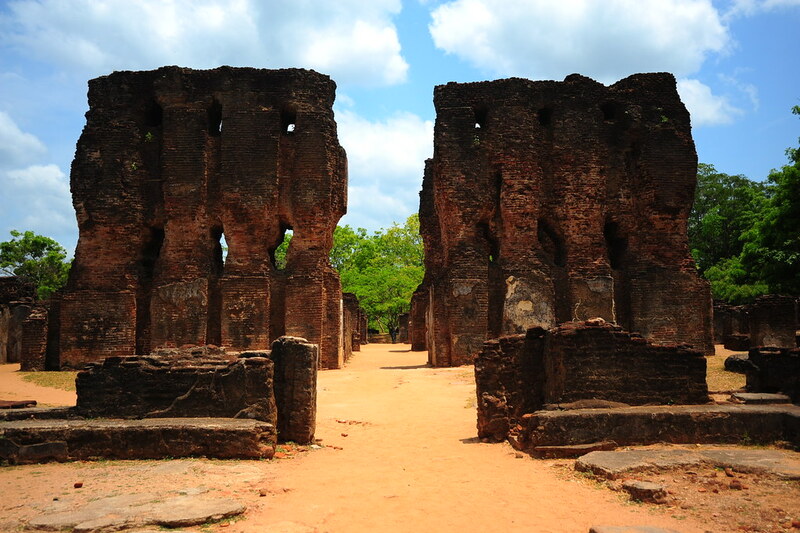 But if you’ve already have had your fair share of ruin-rompin’, Polonnaruwa is “meh” at best. 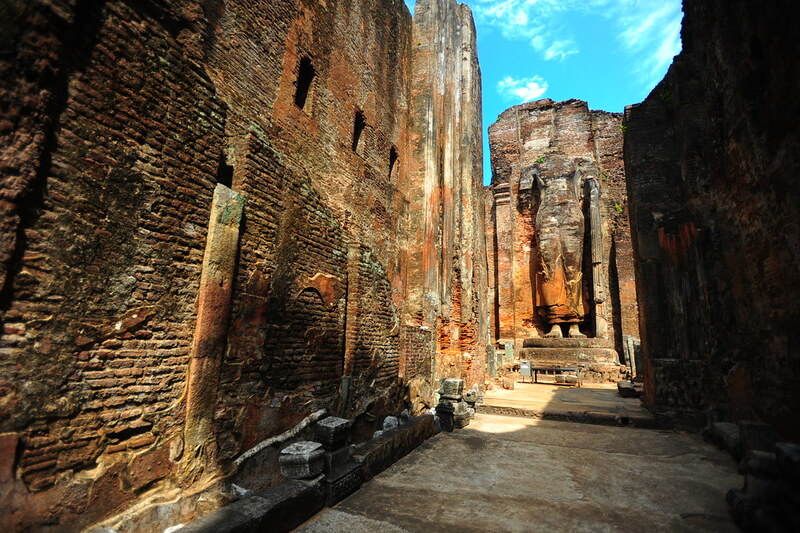 Unlike the grandeur of Angkor Wat or the immaculately preserved nature of Borobudur and Prambanan, Polonnaruwa’s ruins might as well be headed towards extinction. The most you’ll get are foundations of once great buildings (I’m sure they looked great! I…just…don’t…see…it…now), and maybe a nicely preserved Buddha statue here and there. 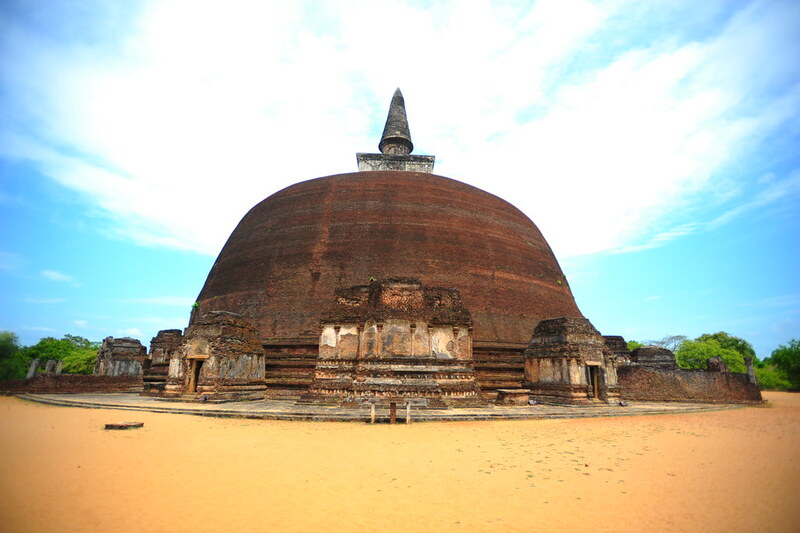 One of 2 exceptions is Galvihara, which is way up north of the Polonnaruwa old city. Unfortunately, however, dreaded park authorities have put up an ugly steel roof that towers over the statues, which prevents any natural light getting to it and thus forces you to appreciate these awesomely carved Buddhas under something awfully tacky and cheap. 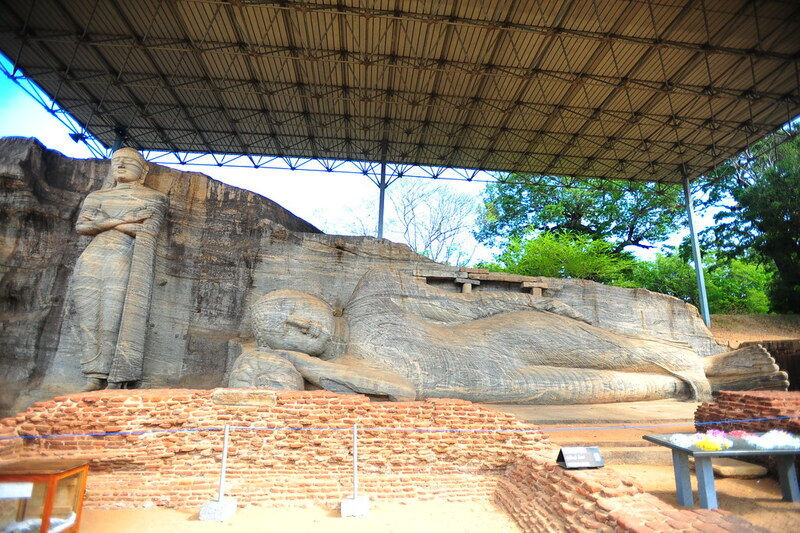 But in an entire park of many many other ruins, those 2 exceptions stand out as maybe the only 2 reasons why you should come to Polonnaruwa…unless of course, you’re a history buff already fascinated with ancient Sri Lankan civilizations. But then again, you’d probably be spending more time at the nearby Archaeological Museum than in the park itself. That’s because the excellent Archeological Museum is not only air-conditioned (whew! 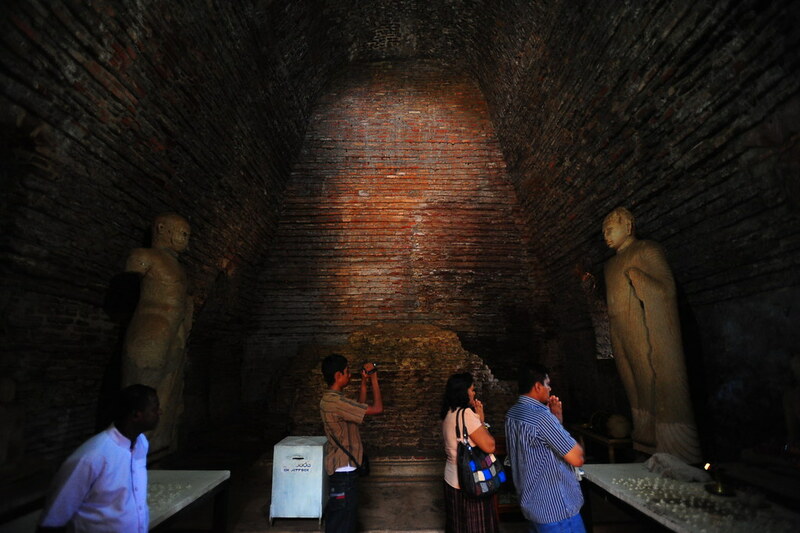 ), but it’s also extremely organized, detailing what the ruins used to look like before Polonnaruwa’s downfall. I believe I was more fascinated by the exhibits in the museum than by being at the ruins themselves. What remains of the Royal Palace. 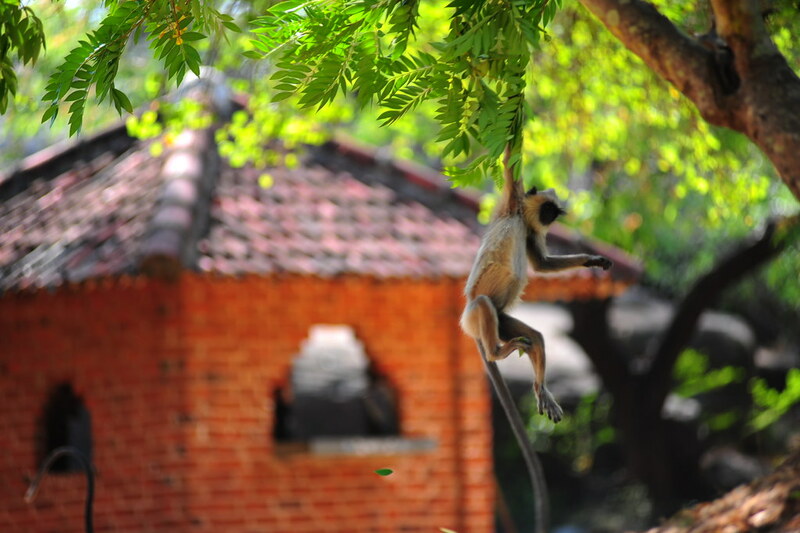 Currently hanging out in Anuradhapura right now, which is the last of the ancient cities on our Sri Lankan circuit. 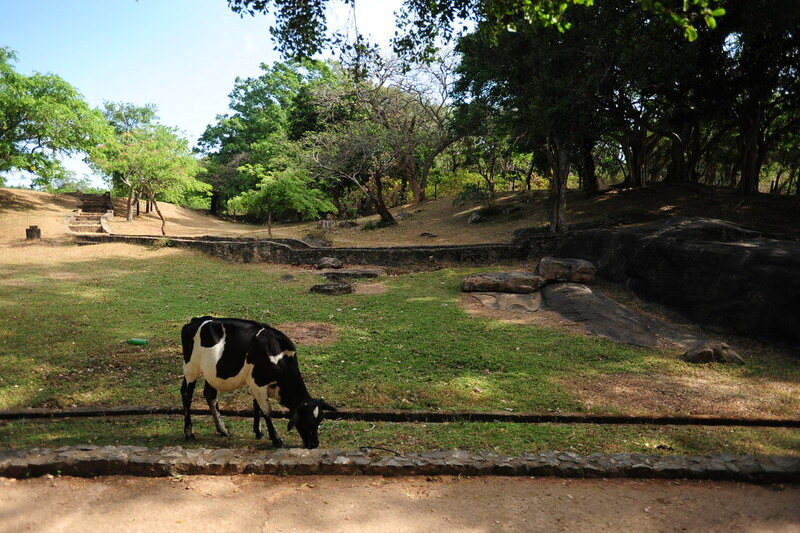 We’re due to bike around Anuradhapura’s more spread out ruins tomorrow, but the embarrassing thing is that I haven’t rode a bike in about 5-6 years. Therefore, I’m kind of worried about getting blindsided by a rickshaw in the middle of crazy South Asian traffic. Fingers crossed!